Overview: The Hopland Research and Extension Center (HREC) in partnership with UC Cooperative Extension Mendocino County, is offering the California Naturalist certificate class in Mendocino County. The Hopland Research and Extension Center (HREC) is the University of California's principal field research facility for agriculture and natural resources in the North Coast region. A diversity of soils, plant and animal communities, and elevations makes HREC representative of many parts of the Coast Range in northwestern California. Celebrating their 60thanniversary during 2011, HREC stewards more than 5,300 acres of oak woodland, grassland, chaparral, and riparian environments. The HREC mission is through science to find better ways to manage our natural resources and conduct sustainable agricultural practices, for the benefit of California’s citizens. Field experiments and demonstrations conducted since 1951 have led to more than 1,400 publications in animal science, entomology, plant ecology, public health, watershed management, and wildlife biology. The 40 hour course combines a science curriculum with guest lecturers, field trips and project-based learning to explore the unique ecology and natural history of inland Mendocino County. This course will cover basic ecology, watershed concepts, geology, wildlife, plants, and global environmental issues, as well as tools for collaborative conservation and communication. Download the DRAFT 2019 syllabus and class schedule here. 2019 Course Schedule: The class runs from March 13th to May 18th, with 9 Wednesday evening (6-8:30pm) lectures, and 5 field trip days. 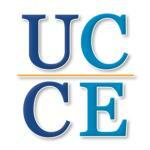 Evening classes meet at the UC Cooperative Extension Offices at 890 N. Bush St. (corner with Low Gap Rd.) in Ukiah, unless otherwise noted. Saturday Field trips will run from 8:30am – 2:30 pm. We will meet at the Hopland Research and Extension Center at 4070 University Road, Hopland, unless otherwise noted. Participants may not bring pets, guests or children on any field trips. Directions will be given at the first class meeting. Registration (after January 31st 2019) - $410. Click here for more info on scholarships and registration.